Susan's inspiration board for Fall 2012. 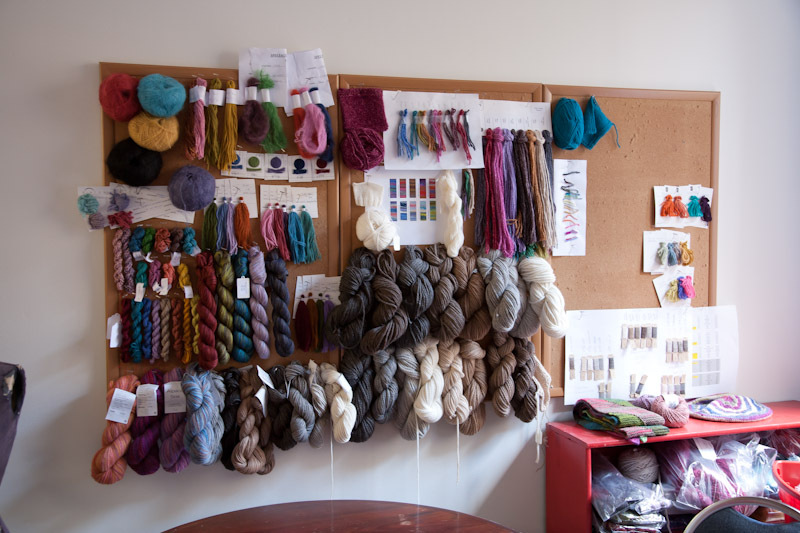 So many luscious new yarns! By the way, have you sent in your Spring-O board yet? Only a few weeks left to enter for a chance to receive all 130+ new patterns for Fall 2012! When will Color by Kristin yarns be available? Thanks. Thanks for your interest in Color by Kristin! You can find it in stores in mid to late July. Happy knitting!